As we get older, our bodies show the wear and tear they have endured. That includes our mouth and our teeth. Maybe your teeth have become yellowed after years of smoking or drinking too much coffee. Maybe you experienced tooth decay, which required you to have a tooth or teeth pulled. Maybe you just want to eat without worrying about your dentures falling out. Well, there is a solution to all those problems. At North Shore Oral and Maxillofacial Surgery, you can change your smile in one day. It could change your life, too. We offer a number of services at our office. One of them is Refresh Smile. This is also known as an All on 4 implants, and it’s something between dentures and a traditional dental implant. If you’ve become ashamed of your teeth, if you are embarrassed by your smile, you may find Refresh Smile is just what you need to regain your confidence. In one day — yes, one day — you can come to our office and leave with a smile you’ve dreamed of seeing in your reflection. With standard dental implants, you will need to make multiple visits before they are complete. If you have big event — like a class reunion or a wedding — coming up, you may not have the time to complete the implant process. With Refresh Smile, you don’t have to wait. This type of implant is a relatively new treatment option, which takes between four and eight hours to complete. The procedure starts with the removal of any unhealthy teeth. Our team will then insert four small implants into your jawbone. Before you leave, we will secure a set of dentures to your new implants. You will have a new, natural-looking smile, and you’ll want to share it with the world when you are done. Don’t get us wrong. Dentures have been great for many people. Unfortunately, dentures secured with an adhesive are more likely to come loose while you are talking or eating. This can lead to awkward social encounters and trouble chewing certain foods. That’s no fun for anyone. With Refresh Smile, you can enjoy the cosmetic benefits of dentures with security that is more comparable to a dental implant. Refresh Smile is also better for your oral health when compared to dentures. Denture wearers may experience thinning of their jawbones. They also may have reduced levels of albumin, B12, and folic acid, based on their dietary changes. With Refresh Smile, you can eat foods you enjoy. Also, this mini implant helps you maintain your bone density, and it won’t leave you with the taste of denture adhesives in your mouth. 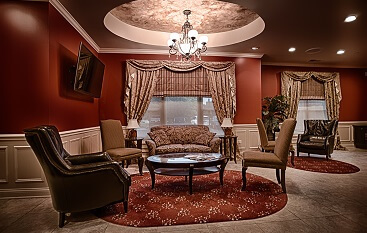 We have an experienced staff that strives to make you feel welcome and to address any needs or concerns you may have. 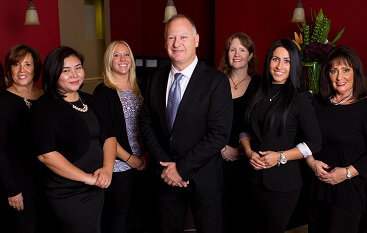 You’ll find our staff to be professional from the time you set up your appointment through the end of your procedure. We can assist you with insurance questions, and we will follow-up to make sure things are going well after your procedure is finished. And with 25 years of experience, Dr. Frank has developed an expertise in extractions and implant procedures. We also do our best to educate our patients. We know you want to know what will be happening to you and what you can expect after your procedure is complete. In our view, this is an essential part of proper patient care. We utilize the technology to make sure we are providing the best possible treatments for our patients, too. Other dentists continue to refer patients to us for Refresh Smile and other implant procedures. They’ve seen how Refresh Smile provides a lower cost alternative to dental implants, and that it takes less time to complete and offers more stability than dentures. If you are ready to have a whiter, more beautiful smile, Refresh Smile (All on 4) is for you. You’ll be more comfortable when dining out, too, knowing you can eat whatever you would like. You will feel better, and you might find that you are smiling more often, too. You can change your life and your smile in just one day. Do you have questions about Refresh Smile and what it can do for you? 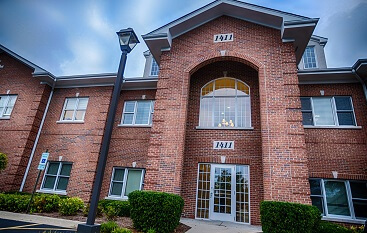 Call North Shore Oral and Maxillofacial Surgery at (847) 613-4933. We’ll be happy to set up an appointment to discuss your options.